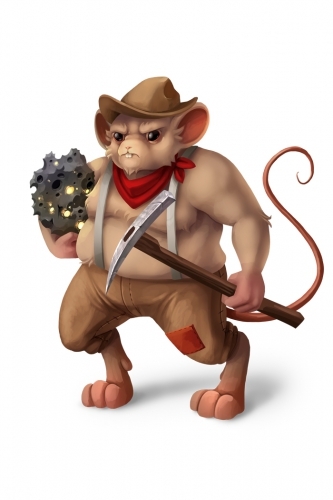 The Meteorite Miner is a breed of mouse found in Fort Rox. They are known to drop Meteorite Pieces as loot. Hearing word of the meteorite-rich area in the valley, this hard-working mouse has moved his family from the dusty old city to a small settlement to the south in search of new riches and opportunity. Meteorite Miner mice have no specific preference for any kind of cheese. Law type traps such as S.L.A.C. are very effective against the Meteorite Miner mice. Meteorite Miner mice can only be encountered during the daytime phase in Fort Rox. The Meteorite Miner Mouse drops the Day Egg during the annual Spring Egg Hunt. This page was last edited on 27 May 2017, at 01:50.